June 23 – July 24, 2017 The Frame Garden, Scenes from Park County solo exhibit of 19 paintings from miniature to massive, urban to pastoral, 101 South Main Street, Downtown Livingston, MT. Summer 2017 Livingston Depot Museum, “A Railroad Runs Through It: Livingston Artists Celebrate Trains & The Historic Depot” group show, 200 W. Park Street, Livingston, MT. Spring 2017 The Shane Lalani Center for the Arts lobby solo exhibit, two series of regional paintings, 415 E Lewis St, Livingston, MT. Edd Enders paintings can also be seen in Livingston, Montana at Glenn’s Park Place Tavern at 122 North Main Street and the BHive Artisan Collective at 106 North Main Street. Phone or Text 406/222-4848 or email buzzmemedia@gmail.com for sales or exhibitions. Edd has many paintings for viewing in his studio at 106 1/2 North Main on Livingston. He does not have open studio hours so please phone 406/222-4848 or 406/222-2127 or email buzzmemedia@gmail.com or eddenders@gmail.com to make arrangements to see work or take a studio tour. 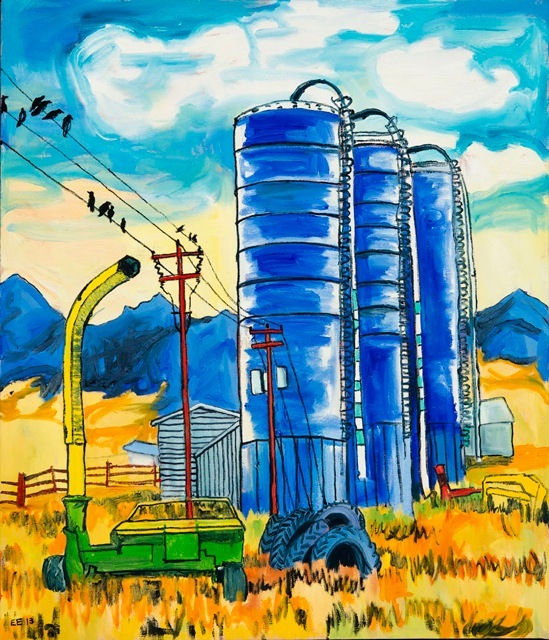 11/11/16 The Bozeman Public Library “Celebrating 10 Years of Community Art” group show. 6/2015 The Danforth Gallery, Livingston, Montana. Solo show “Inch x Inch” landscape road trip. 1-2/2013 Bozeman Public Library, Bozeman, Montana. Solo show, landscapes. 9/2013 B.Civilized Gallery, Livingston, Montana. Solo show, juniper trees. 9/2012 The Depot Museum, Livingston, Montana. Solo show, trains. 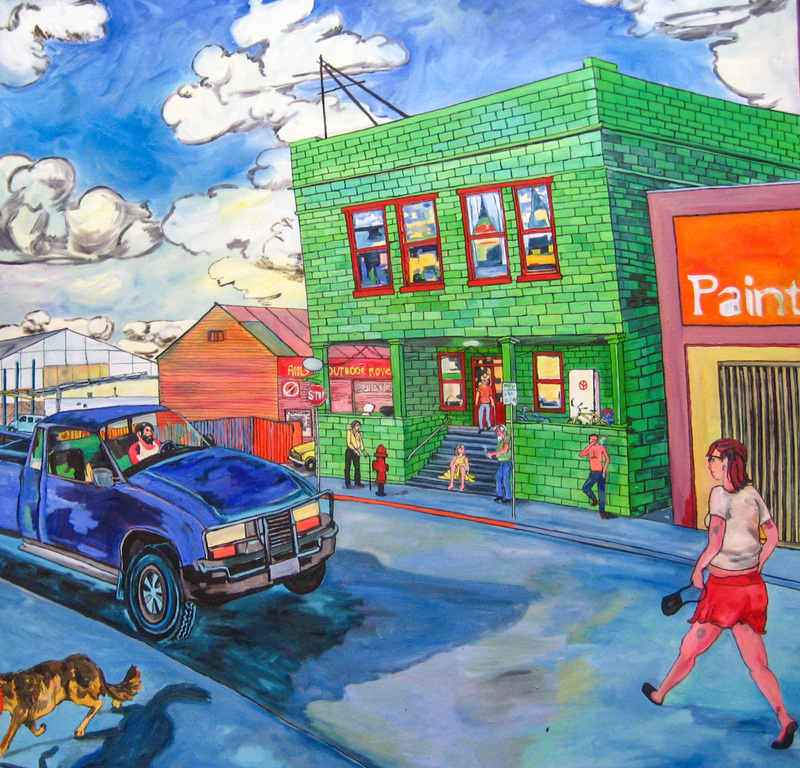 8/2011 The Phoenix Gallery, Butte, Montana. 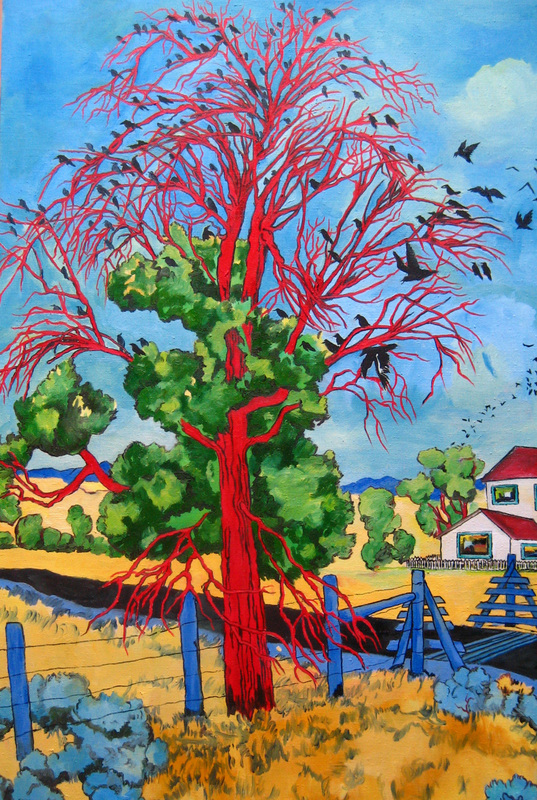 Solo show, cottonwood trees. 8/2010 Carbon Co. Art Center and Guild, Red Lodge, Montana. Solo show, landscapes. 6/2008 U.S. Bank Gallery, Butte, Montana. Solo show, urbanscapes. 10/2007 The Danforth Gallery, Livingston, Montana. Solo show, landscapes. 7/2006 The Holter Museum, Helena, Montana. Solo show, landscapes. Edd’s oil paintings are on handbuilt linen canvases. Edd Enders does no prints of his work. Phone or text 406/222-4848 or email buzzmemedia@gmail.com for sales, tours, and exhibitions. For interviews or studio tours, phone 406/222-2127 or email eddenders@gmail.com.